Anything in excess is bad. So is Cholesterol in our body. At a normal level it forms a very essential substance in our body but if it exceeds and it’s concentrations in the blood is high, then it puts you at a risk of a Heart attack. High cholesterol is an alert and needs to be taken care with immediate attention. Individuals with high cholesterol are very common these days. With several other factors such as obesity, smoking, lifestyle, diabetes, High blood pressure, Genetics etc. adding to its causes. 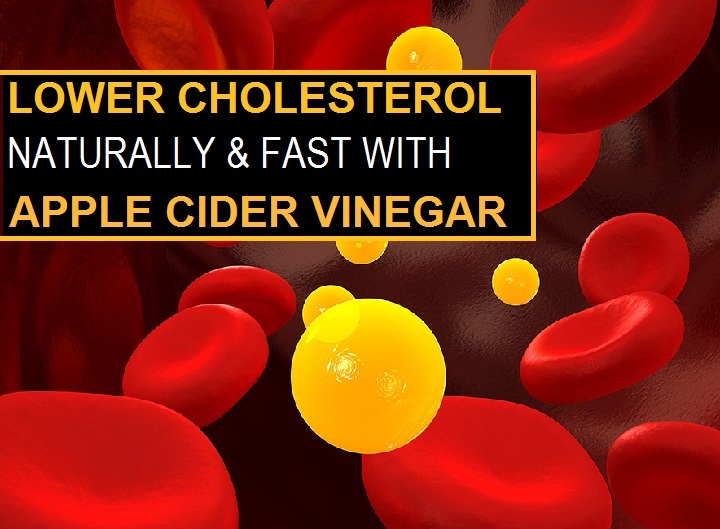 Here we discussed some effective ways to use apple cider vinegar for cholesterol lowering. Apple cider Vinegar is one of the natural ingredients which have several health benefits. Made from the Apple extracts further fermented with yeast and bacteria to have the vinegar form. 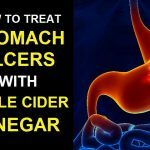 Apple Cider Vinegar’s benefits have been well known and famous. Pectin in ACV helps attract bad cholesterol (LDL). Hence let us find out how to use ACV with various other natural ingredients. The idea is to increase ACV’s usage. ACV is well known for its culinary usage and It has a sour/ tangy flavor. This can be used as a salad dressing or vinaigrette in variety of culinary recipes and also in the form of meat tenderizer. Although ACV tastes a bit different than the white vinegar, but can be substituted and the difference is taste is very much negligible. The recipe is like a health drink to fight bad cholesterol. Dilute 2-3 tablespoons of ACV in 1 cup of water, stir this and consume regularly. It is suggested not to drink ACV directly as it has a strong flavor and can harm your tooth enamel. Also you can opt to mix a teaspoon of honey to this mixture to make it taste better. Mix the juices, each 1 cup of Lemon, Garlic and Ginger. Bring this mix to boil till the mixture is one third. Strain the mixture and add Raw 1 cup of ACV and 3 small cups of honey. You can store this mixture and consume this empty stomach, as a tonic mixed with ½ cup of water every day. Benefit: Cinnamon’s fat cleansing property helps in reducing the accumulated fat in our digestive systems. It thus helps in lowering the bad cholesterol. Green tea is rich in antioxidants and studies show that consumption of green tea helps lowering the bad cholesterol. Along with ACV, makes it more effective combination. Brew your green tea and add 2 teaspoons of ACV into it, mix and consume this. Getting ACV in your daily diet is certainly a wise idea. Try the above recipes to fight away the bad cholesterol. Don’t take ACV as a substitute to your medication. Always buy an unfiltered raw ACV as this will keep the natural minerals and goodness intact. Keep a check on your daily diet, to control the food containing trans fats and saturated trans fats which can raise your Cholesterol. Exercise is the key to being fit. This will keep a check on the cholesterol levels. Obese and overweight situation lowers HDL (good ) Cholesterol. Do your cholesterol checkup regularly as prescribed by the doctor to monitor the cholesterol levels. If after continuous use of Apple Cider Vinegar doesn’t affect your cholesterol levels, it would be better if other medication are taken for the same. ACV can be considered as a preventive remedy, however cure isn’t guaranteed. A thorough check up of your heart along with LDL and HDL levels could determine further course of treatment. 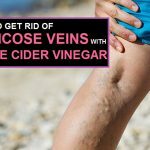 How Does Apple Cider Vinegar Help Varicose Veins?